Future Architecture is more than a competition. Future Architecture is changing the very foundation of architecture in Europe, and beyond. Exploring boundaries. Breaking down walls. Building new systems. Forming new coalitions. Providing talented conceptual thinkers and practitioners with opportunities to speak up – and be seen and heard. Let the Future Architecture platform help you boost and sharpen your practice. Start exchanging your ideas and projects with high profile institutions— museums, galleries, publishing houses, biennials, and festivals — to find avenues toward real international recognition. We are inviting multi-disciplinary emerging professionals from all over the world to apply with transformative projects related to our living environments. 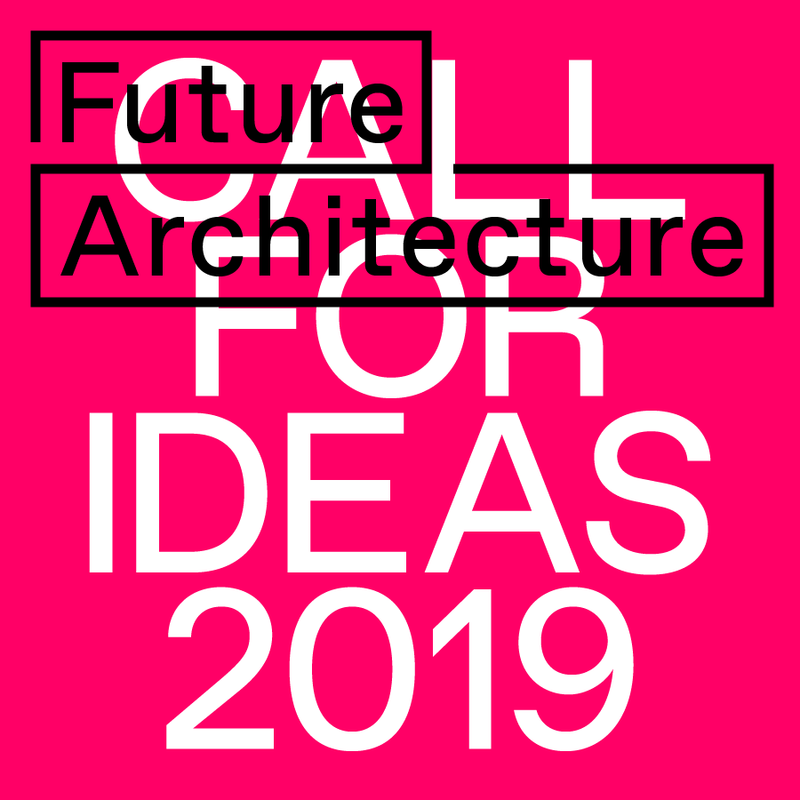 Send us your completed projects, theoretical or conceptual propositions for spatial, social or cultural innovations and join our discussion about the future of architecture. Become part of the European Architecture Program 2019and see how Future Architecture can help you develop your practice. Selected applicants will be invited to participate in one or more of the following activities. Future Architecture’s board of members will invite selected applicants to present their projects at the Creative Exchange in Ljubljana and to enter into possible activities within the European Architecture program. The platform will cover the travel (from within the EU) and accommodation costs of the selected participants. Platform members will cover travel (from within the EU) and accommodation costs and provide an honorarium to the participants that they invite to contribute to their events. The open-call starts at 04:00 pm CET on 15 November 2018, and all entries must be received by 12:00 pm CET on 7 January 2019. One is permitted 1 entry only (as an individual or as a collective). The Future Architecture platform is a pan-European exchange and networking platform for architecture. It promotes cooperation between professionals and architectural institutions in order to bring ideas related to the future of cities and architecture to the forefront of the architectural discourse and closer to a wider public. The aim of the platform is to identify and explore new models of creative work that could provide future generations in Europe with a more stable perspective and contribute to a more harmonious development of the European economy, our living environment and society as a whole. WHO ARE THE FUTURE ARCHITECTURE PLATFORM MEMBERS? coordinating entity: Museum of Architecture and Design, Ljubljana (Slovenia); members: MAXXI -National Museum of XXI Century Arts, Rome (Italy), Oslo Architecture Triennale, Oslo (Norway), Copenhagen Architecture Festival (Denmark),Lisbon Architecture Triennale(Portugal), Museum of Architecture in Wrocław (Poland), Belgrade International Architecture Week (Serbia),House of Architecture, Graz (Austria), Tirana Architecture Week (Albania), CANactions, Kiev (Ukraine), dpr-barcelona (Spain), Design Biotop, Ljubljana (Slovenia), Bureau N(Germany),Društvo arhitekata Istre – Società architetti dell’Istria DAI-SAI,Zagreb (Croatia), VI PER Gallery, Prague (CZ) Fundació Mies van der Rohe, Barcelona (Spain), Museum of Estonian Architecture, Tallinn (Estonia),Forecast, Berlin (Germany) and Calouste Gulbenkian Foundation, Lisbon (Portugal); associate members:Strekla Institute, Moskow (Russia),Swiss Architecture Museum, Basel (Switzerland), Kosovo Architecture Festival (Kosovo) and Royal Academy of Arts, London (United Kingdom). Bika Rebek, architect and educator (NEW INC, Columbia Graduate School of Architecture, Planning and Preservation); Anastassia Smirnova, designer and researcher (SVESMI, Strelka Institute); James Taylor-Foster, writer, editor and curator at ArkDes(National Centre for Architecture and Design, Stockholm); Stephan Trüby, Professor of Architecture and Cultural Theory (Technical University of Munich)and Boštjan Vuga, architect and educator (SADAR+VUGA architects). HOW IS THE FUTURE ARCHITECTURE PLATFORM FUNDED? The FA platform is funded by the Creative Europe programme of the European Union.